You are the future of travel medicine, and among the next generation of leaders in the field. You deserve every opportunity to excel because the competence and expertise you acquire now will impact on the quality of patient care in Asia Pacific for years to come. You deserve every opportunity to excel: you are dedicated, and your academic merit and progress warrant participation in the trainee audience at this crucial congress. But to make that happen, you first need to convince your boss to send you. We can help with that. Just take these five easy steps, use the professionally written letter we’ve already prepared for you, and we’re sure that we’ll be seeing you in Thailand for APTHC 2018! List your goals and – just as important –your challenges, as well as your boss’ goals and challenges. Study the scientific programme and use these goals and challenges to map out your conference, selecting the plenary sessions, lunch symposia and hands-on workshops that will allow you to reach these goals and rise to these challenges, and the regional and international experts who will be leading them. Stress the need to stay current on the research, knowledge and experience of delegates attending APTHC 2018, of being among the first to learn of all the significant new developments and scientific advancements in travel medicine, and of seeing hearing, and meeting, the invited expert speakers, the luminaries in the field whose names your boss is very familiar with. 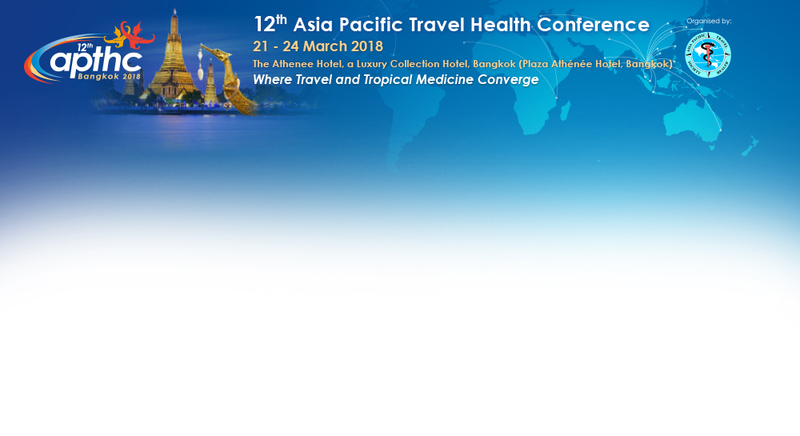 With exhibitions of all the leading suppliers in the field of travel medicine, you will be able to make an informed contribution to discussions on your organization’s purchasing decisions, which is only possible when all the leading vendors are assembled under one roof as they will be at APTHC 2018. When it comes to professional development, most bosses prefer a written request, and we’ve created a letter template to get you started in the right direction. Just customise and tailor it to suit your individual situation. What you take away from the conference will vastly improve your skills and will open your mind to all the vital connections in science and medicine. You deserve every opportunity to prepare yourself not only to make an impact on the future of travel medicine, but to advance it and be an indispensable part of your organisation. Use our pre-written letter to convince your boss to send you to APTHC 2018! Following up on our discussion, I would like to expand on my request to attend APTHC 2018 . I believe that, as a member of the next generation of leaders in the field of travel medicine, I am the future of our profession, and deserve every opportunity to excel. The competence and expertise I acquire now will impact on the quality of patient care at [ORGANISATION] and the entire region for years to come. My training will take a giant leap forward throughout a wide-ranging four-day scientific program. I will be among the first to learn of all the significant new developments and scientific advancements in the field of travel medicine. What I take away from the conference will vastly improve my skills – skills that I look forward to sharing with the team at [ORGANISATION]. I strongly believe that I deserve every opportunity to prepare myself not only to make an impact on the future of travel medicine, but to advance it and be the best that I can be. I have become inspired by this forthcoming conference – and I hope that these points inspire you to allow me to attend APTHC 2018. Here is the cost breakdown in USD, and I strongly recommend that we take advantage of the Early Bird Rate, which makes the conference even more affordable.